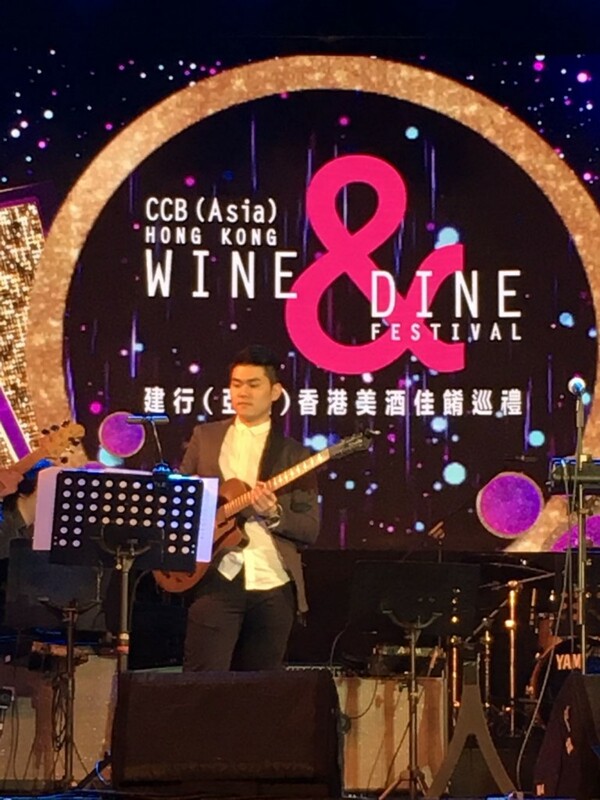 With over 15 years of experience in jazz and classical guitar, Vincent is one of the rising stars in the Hong Kong music scene. Having studied the jazz guitar under legendary maestro Eugene Pao, Vincent has gradually developed his own style and technique and has won various awards including the Best Guitarist Award in the Caritas Music Competition (2005, 2007, and 2008). In his professional career as a musician, he has performed with several well-known musicians and musical groups including Cy Leo, Aga, Patrick Tang, II Divo, Ted Lo, Wilson Lam, Yin Ng, Yanice Tsang, Robynn Yip, Shaolin Fez and the City Chamber Orchestra of Hong Kong. He is currently working on a new project with Cy Leo which will be performed locally and internationally. In addition to working with different artists, Vincent has also formed his own band, Fusion Pig, for which he and his bandmates write original fusion pieces. He is also frequently hired to perform at wedding banquets and private parties. Vincent is familiar with most of the musical grade curricula having studied them extensively himself. Among his many awards and qualifications are Grade 8 in Classical Guitar and Music Theory (ABRSM) and Grade 8 in Electric Guitar (Trinity College London). An acclaimed music educator, Vincent has taught for over 10 years at music studios and institutions such as Harrow International School, French International School and various private lessons for students of all ages and nationalities. His teaching philosophy is student-oriented and focuses mainly on the enjoyment of music, learning about the history and development of music styles, and useful techniques on practicing, performing and process-learning. If you’re interested in booking lessons with Vincent, please contact us for more information on price and availability.